Cambodia has long been considered one of the fascinating destinations in the world in general as well as in the Asia in particular. That’s why lots of tourists readily book Package Holidays To Cambodia to enjoy and even discover what the kingdom of Khmer has to offer. 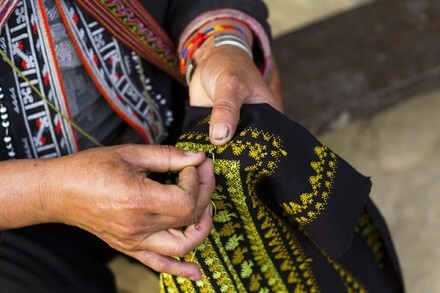 For them, it is a wonderful land where they may cheer up their soul, inspire their mind, as well as mixing up part of their holiday with cultural experience, adventure, and even culinary craving. Along with the country’s rich collection of pagodas and temples, there is a wide range of eye-catching and exquisite beaches here. That’s why you are likely to cost little but earn much during the trip. Thus, for a good understanding about Cambodia before departure, make sure to read through our post below to know what the tour package can give you! The Royal Palace and Silver Pagoda: Traveling to Phnom Penh, Cambodia is incomplete without visiting these 2 outstanding structures. 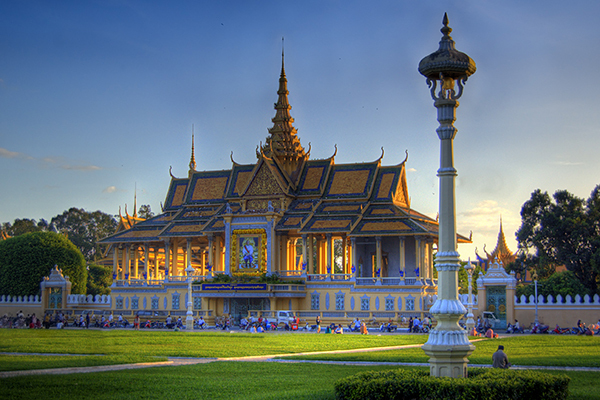 The Palace has long functioned as the venue for the court, the gorgeous residence for the King generations, and the symbol of Cambodian Kingdom. Attached to this grand building complex is the Silver Pagoda (the Wat Preah Keo Morokat). 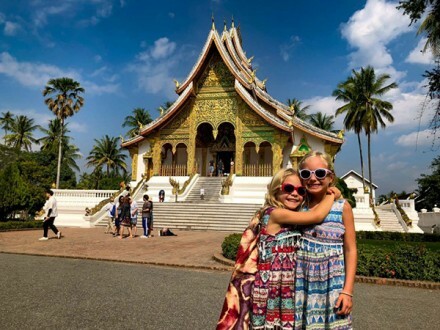 What leaves a strong impression on tourists is that there are about 5,000 silver tiles in the pagoda. Here is where most of the royal ceremonies are held. Especially, unlike other pagodas and temples, there are no monks living inside. The legendary temple of Wat Phnom: Visitors frequently arrive in Wat Phnom day after day not only to feast their eyes on its unique location that is set atop a 27m-high hill, but also to pray for success, luck, safety, and healing. The National Museum: As the largest museum of cultural history in Cambodia, the National Museum is also worth an arrival by its spectacular architecture and traditional values, including the largest collections of Khmer art. 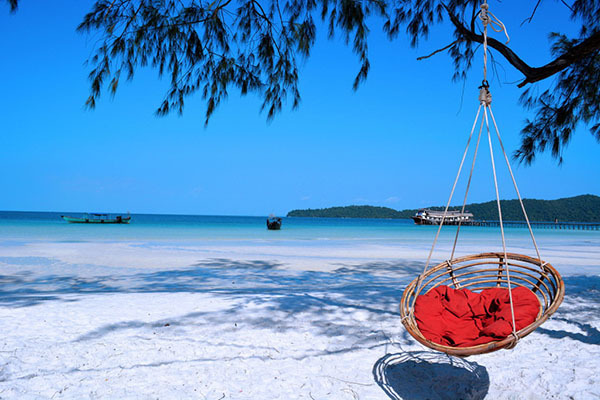 Checking in Sihanoukville brings you relaxing moments in the anger-free and stress-free ambiance. 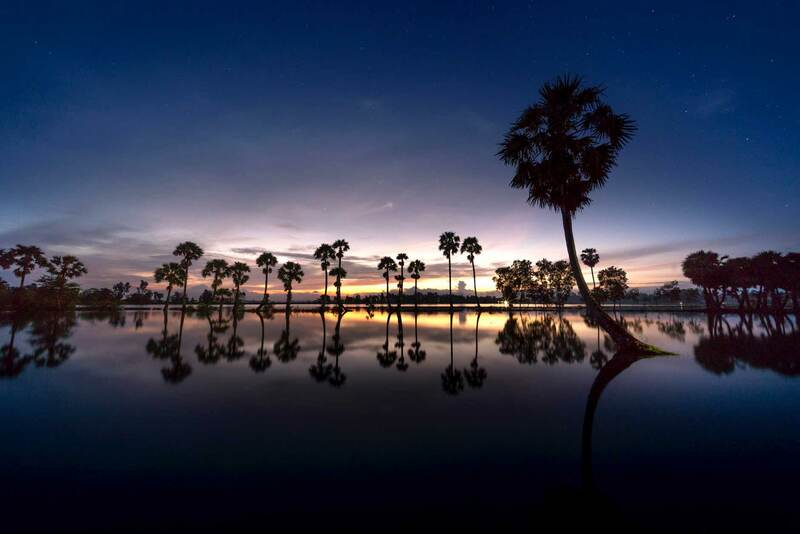 As the heaven for the beach lovers, this coastal city in the southwest of Cambodia does attract the great influx of tourists worldwide every day. Besides, Sihanoukville also looks really gorgeous and eye-catching from any angle. That’s why photographers frequently visit here for the best pictures ever. Hence, whether you come there for gaining endless beach inspiration, resting on the picturesque beach, or even partaking in many water activities, all of your desires surely come true with ease. Today, the tour allows you freedom to do what you like. In order to say out loud the inner anxiety and gain peace in mind, here are some suggestions in the city for a perfect trip, including Deum Chhrey Beach, Koh Rong Island, Ochheuteal Beach, Buddy Land Water Park, etc. The itinerary for this day consists of 2 parts. In the morning, you will have a chance to see the International Port, Fishing Port, Independence Square, and Golden Lions Monument from the outside during the route. Though these attractions just glance for a while, they are still impressive and magnificent enough to linger in your memory for a long time. Before coming back to Phnom Penh, you are led towards a private excursion to KbalChhay Waterfall – one of the prominent attractions in Koh Kong Island. At 10 meters in height and 8 meters in width, the waterfall looks extremely incredible, especially in the rainy season. In the magnificent settings of the mountain range and forest, it does help tourists stay close to nature at best since it creates a fabulous vista of nature for sightseeing, trekking, picnicking, and even photographing. The Fourth Day: What do Package Holidays To Cambodia offer during a journey to Siem Reap? The tour will basically help you fully understand and grasp the beauty of Siem Reap by spending the next 3 days discovering it. 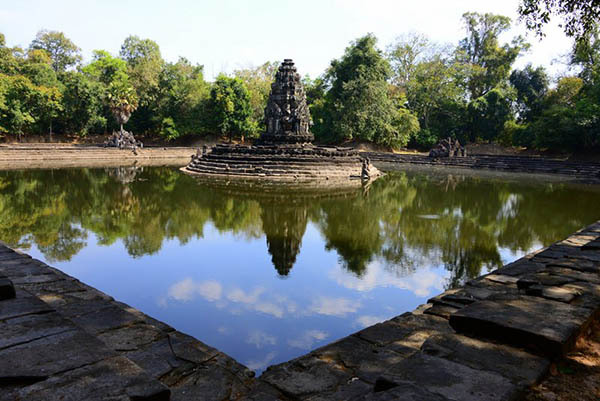 After the flight to Siem Reap departs from Phnom Penh, you will be guided to Angkor Thom – the last capital of the Angkorian Khmer Empire. Together with the internationally magnificent Angkor Wat, this complex city is also another big magnet which attracts lots of the history fanciers to visit the sacred and admirable complex of Angkor Archaeological Park. Erected by the building campaign of King Jayavarman VII, Angkor Thom amazes tourists with 8m-high walls and 100m-wide moat. 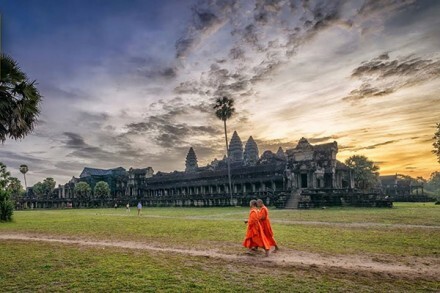 To feel the true splendor of the royal city, the Package Holidays To Cambodia also takes you to other notable attractions around it, including the South Gate, the Bayon Temple, the Phimeanakas, the Elephants Terrace, the Royal Enclosure, and the Terrace of the Leper King. In the afternoon, your eyebrows will be raised by an arrival at Angkor Wat – the most famous and recognized temple on the plain of Angkor. Meaning “Capital Temple” in the Khmer language, Angkor Wat is undoubtedly the proud of Cambodia today. It’s hard to convince others to believe that you travel to the country without a visit to the religious monument. Angkor Wat was also inscribed on the list of UNESCO World Heritage in 1992. After that, tourists will have an opportunity to enjoy a memorable sunset from Phnom Bakheng Hills before resting at the hotels. Banteay Srei temple: Dedicated to Shiva of Hinduism, such occult temple was erected in the second half of the 10th century. What makes the temple apart from others is its elaborate and imposing carvings in the pinkish sandstones. Prasat Kravan temple: This temple is situated in the South of Banteay Kdei and in the East of Angkor Wat. The major point of interest at Prasat Lravan is the interior brick sculptures of two of the five towers that depict Visnu and Laksmi – his consort. Ta Prohm: Built by King Jayavarman VII, Ta Prohm originally functioned as a Mahayana Buddhist monastery and university in the past. Besides, the photogenic atmosphere, the lush jungles and the splendid ruins around also make the temple one of Angkor’s most frequented attractions for tourism. 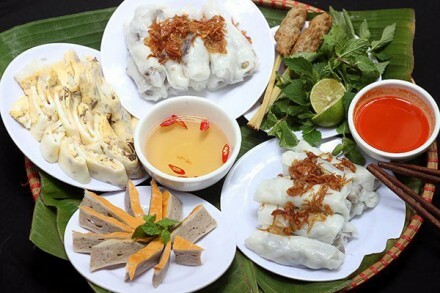 The Sixth Day: What’s more to expect in Siem Reap? This is the last day you’re on the way to explore this capital city in Cambodia. So, wonder what to do this day? 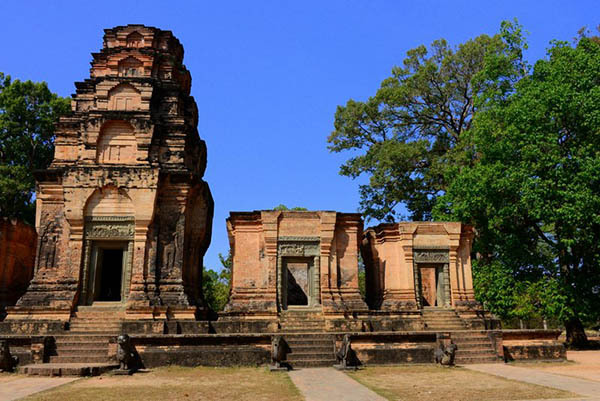 First of all, the guides will take you to Roluos Group of Temples that is famous as a collection of the oldest monuments and temples in the Siem Reap area. In general, the group is made up of 3 main sites, namely Preah Ko, Lolei, and Bakong. 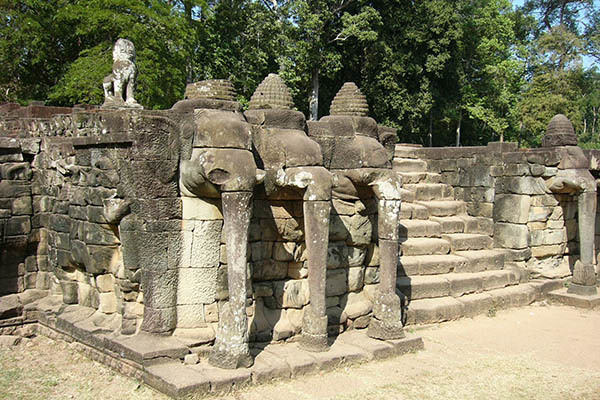 After having lunch at the restaurant, you will continue the discovery of Eastern Mebon – a mountain temple built on an untouched island in the middle of the artificial lake, Neak Poan – a symbol of an aspect of the Buddhist cosmology, as well as Preah Khan – a temporary residence of King Jayavarman VII. 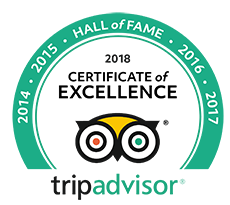 These attractions are obviously worth a go because they help you enhance your knowledge about how mysterious and wonderful the city is. After having breakfast, the tour guides will invite you to enjoy a peaceful boat trip on Tonle Sap Lake where you can witness many floating villages on the river – an ideally idyllic background for the most imposing photos. What makes those villages special is that they cover the floating schools, houses, restaurants, churches, hospitals, and even souvenir shops. You are freely able to pick up any spot and then explore them by our smooth boat. Along with a chance to stay close to nature at best, the boat trip also assists you in gaining the comfort of both mind and soul as wished. 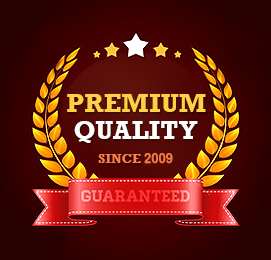 The information above is what Package Holidays To Cambodia promise to give you within 7 days. Although this is just a short trip, it is meaningful enough to help you get an overall view of the country on the whole. Wish to see you again on other next journeys! Where To Go In Cambodia Vietnam Holidays?